From five sleepy Italian fishing villages to one of the most famous coastal landscapes in the world – the Cinque Terre has been through a few changes over the years, but it still looks every bit as gorgeous as you’d imagine. It’s now a National Park and a UNESCO World Heritage Site which draws in a crazy 2.4 million visitors a year (I blame Instagram!) to walk, boat and train their way through its dramatic cliffs and pretty coastal villages. 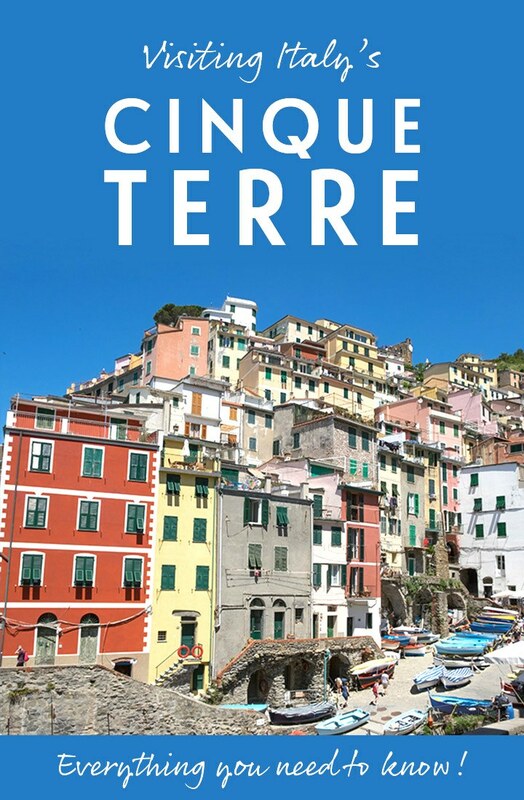 But what do you need to know if you want to tick a Cinque Terre trip off your travel wishlist? Here’s everything you need to know to plan your holiday and make the most of your time visiting the Cinque Terre. 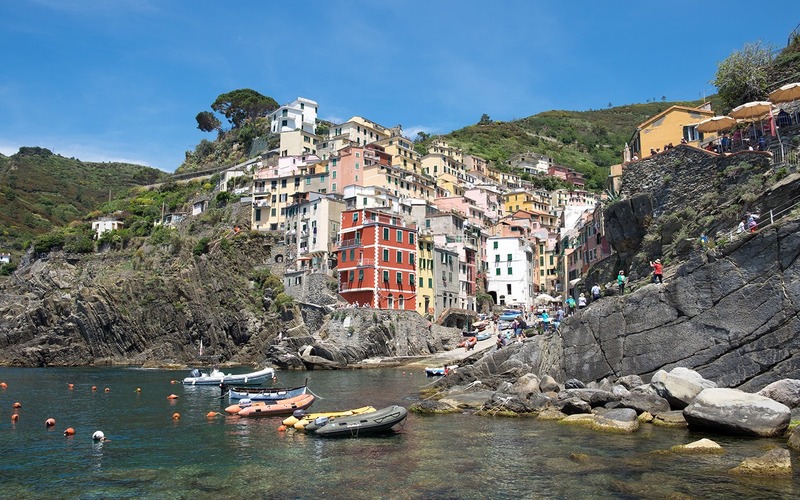 What and where is the Cinque Terre? 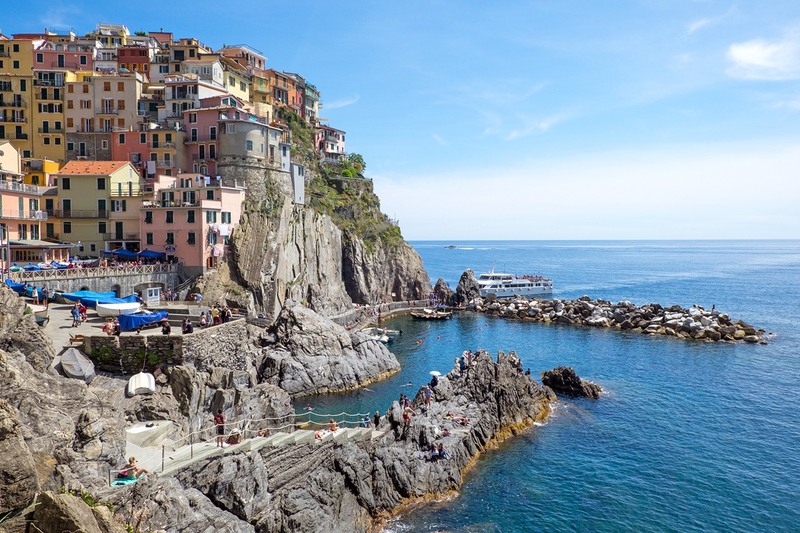 Everyone talks about the Cinque Terre like one place, but it’s actually a stretch of Italian Riveira coastline made up of five little villages – the Five Lands or Cinque Terre in Italian. Running from north to south the villages are Monterosso, Vernazza, Corniglia, Manarola and Riomaggiore. Each one of the five is a beauty, with pastel buildings and sparkling sea views, but each has its own different character. The Cinque Terre is located just south of Genoa in north-west Italy. 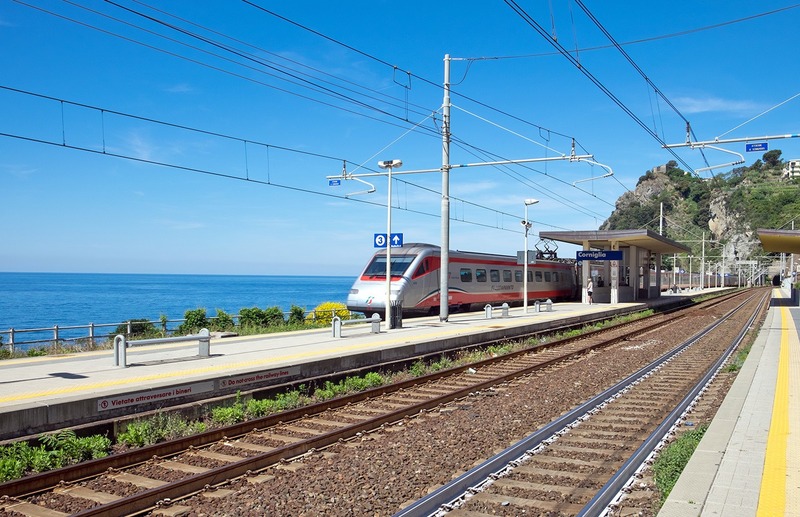 It’s within easy reach of the airports at Genoa, Pisa, Rome, Florence and Nice, and there’s a train connection between La Spezia and Levanto which stops at each of the villages. If you’re really tight on time you could ‘do’ the Cinque Terre in one day by starting super early and walking straight through from one end to the other. There are a lot of day trip tours available or you can just take the train or boat from one village to the next with an hour in each. But you wouldn’t be really doing it justice, and you’d be missing out on the best time of day. Between 10am and 4pm the villages are rammed with day-trippers – the train platform in Monterosso at 4pm took me right back to commuting on the Tube in London at rush hour. But come the evenings things calm right down and there’s much more of a relaxed feel. Ideally you’d want to spend three or four days in the Cinque Terre to do it justice. That’d give you enough time to explore each village, do a couple of half-day walks and a boat trip along the coast. The villages have a different atmosphere at different times of day, so staying for a few days would give you time to decide on your favourite so you can go back for sunset or dinner. 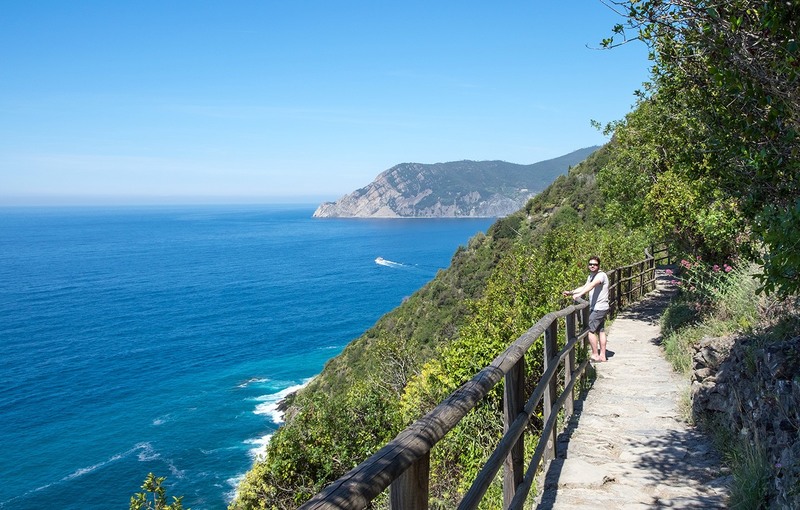 And if you’ve got more time, there are plenty more walks you can do, or you could travel further afield and visit the neighbouring towns of Portovenere, Levanto or La Spezia. When’s the best time to visit the Cinque Terre? The Cinque Terre’s never exactly quiet – busy season runs all the way from Easter until October. But to avoid the worst of the crowds, steer clear of July and August. Accommodation gets booked up really far in advance and it can get really hot so isn’t the best time for walking. 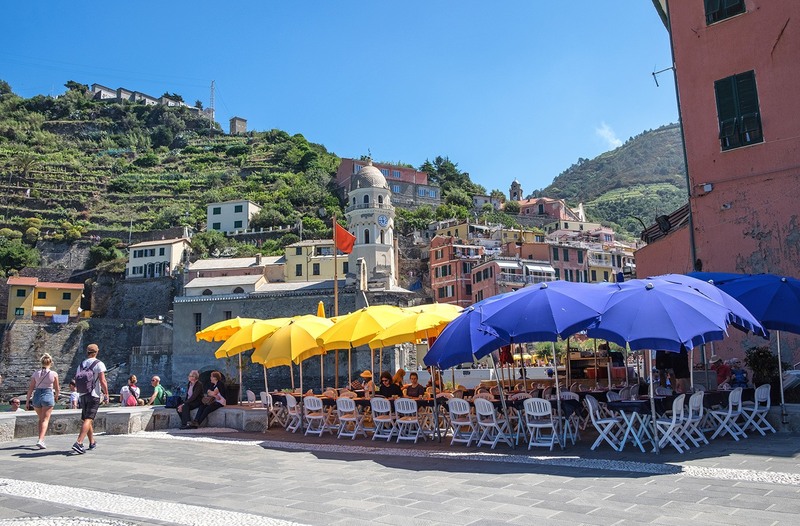 Shoulder season – between May and September – is a good time to visit the Cinque Terre, with warm days and less people than during peak season. Or if you want to risk the off-season you can get a bargain and have the paths to yourself, but it can be wet, especially around November. And if the weather’s bad you risk the boats being suspended and the hiking trails closed. 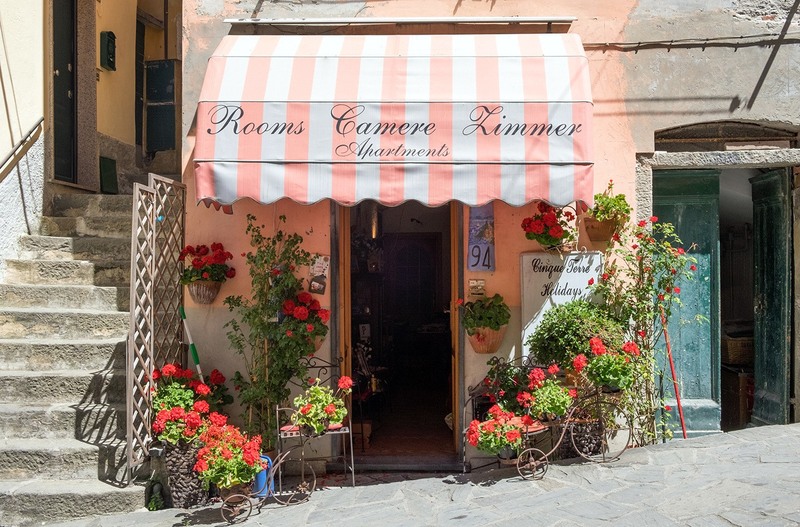 Where should I stay in the Cinque Terre? Staying in one of the five villages means you don’t have to travel in each day and can soak up the atmosphere in the evenings. 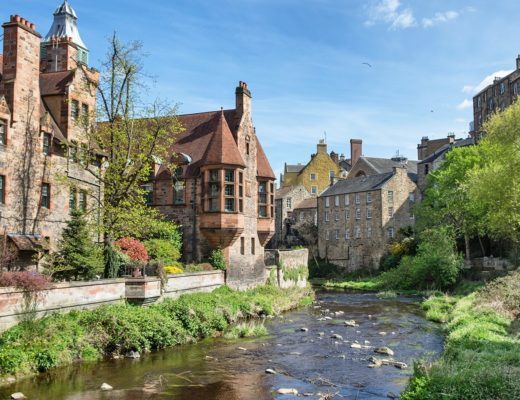 But because it’s so popular, accommodation is pricey – even for pretty uninspiring places – so try to book early. There aren’t many hotels, only in the larger villages Monterosso and Riomaggiore, so it’s mostly guesthouses and apartment rentals. The villages are so close together that there isn’t one that’s in a better position than the others. And it’s not really worth moving around and staying in a couple of different villages as you can get between them so easily. It’s more a case of picking the one which has the right sort of character for you (and where you can find somewhere decent that’s within your budget!). Monterosso is the furthest north and the largest of the villages. It’s the easiest to access so it does get busy, and is the only one with a proper beach and a seafront promenade. 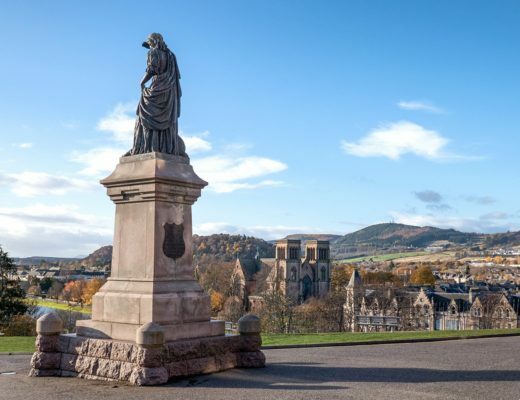 It’s got the widest selection of accommodation and the best hotels, with more of a resort feel and it’s the least hilly so is the most accessible. At the other end of the Cinque Terre is Riomaggiore, another of the larger villages with a gorgeous setting around the harbour. It’s also got lots of places to eat and the best nightlife, but brace yourself for climbing plenty of hills. Vernazza and Manarola are smaller and arguably the most beautiful of the villages. Manarola is surrounded by vineyards and Vernazza has a tiny beach. Both have mostly self-catering accommodation. As does Corniglia, which is the smallest village and the hardest to get to, as there’s no sea access and a huge flight of steps up to the village from the train station. This makes it the quietest – especially in the evenings – and its position high up on the rocks means you get great views (I stayed here and loved it). 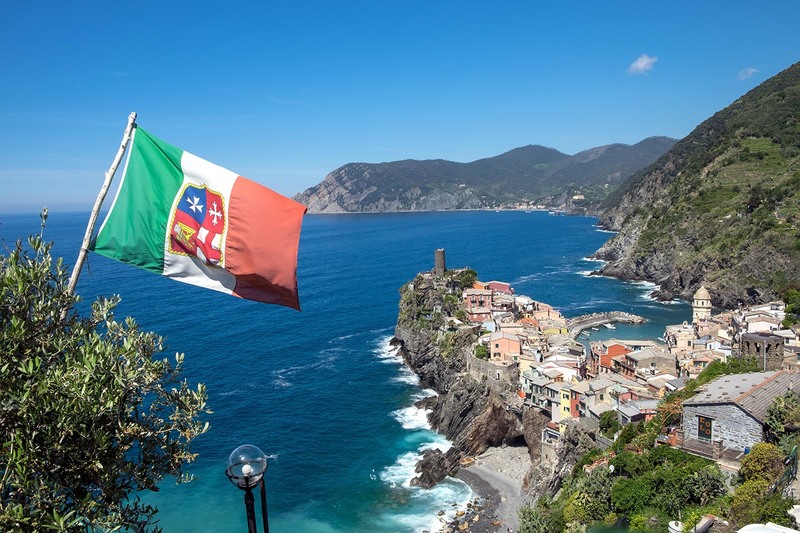 A cheaper option is to stay in neighbouring Levanto or La Spezia – both are on the Cinque Terre train line but accommodation, food and pretty much everything is cheaper as you’re not in the ‘proper’ Cinque Terre. 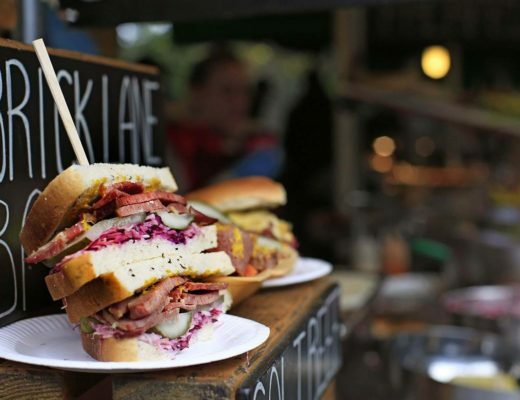 They also have a more authentic, local feel as they’re not so overrun with visitors. How hard are the Cinque Terre hikes? 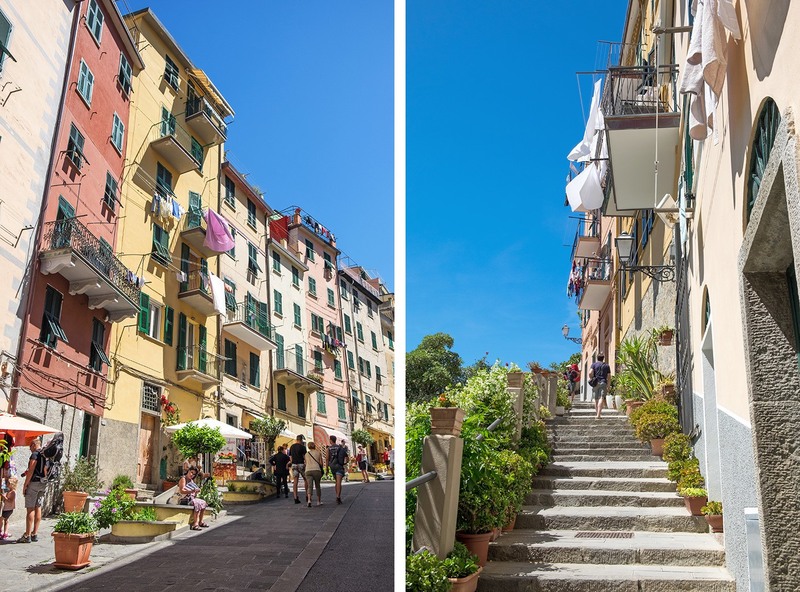 For centuries the only way you could get between the Cinque Terre villages was on foot, and it’s still the best way to get around, with a constant stream of gorgeous views. There’s a mix of coastal and hillside paths. Though the coast paths aren’t just a walk along the seafront – at least not the part that’s open. The one flat stretch of coast path from Corniglia to Riomaggiore is closed for the foreseeable future after it was damaged in landslips back in 2011. The rest of the paths involve lots of ups and downs with some rocky ground and a few big drops and steps to clamber up. You don’t need to be really fit but do need to be be comfortable walking uphill and have decent walking shoes – most people were wearing hiking boots or sturdy trainers. The distances involved aren’t huge, but it can take longer than you’d guess from the distance as it’s so hilly. Plus you often end up waiting for people to pass on narrow stretches which slows things down. So start early or late if you can to miss the peak of walkers. 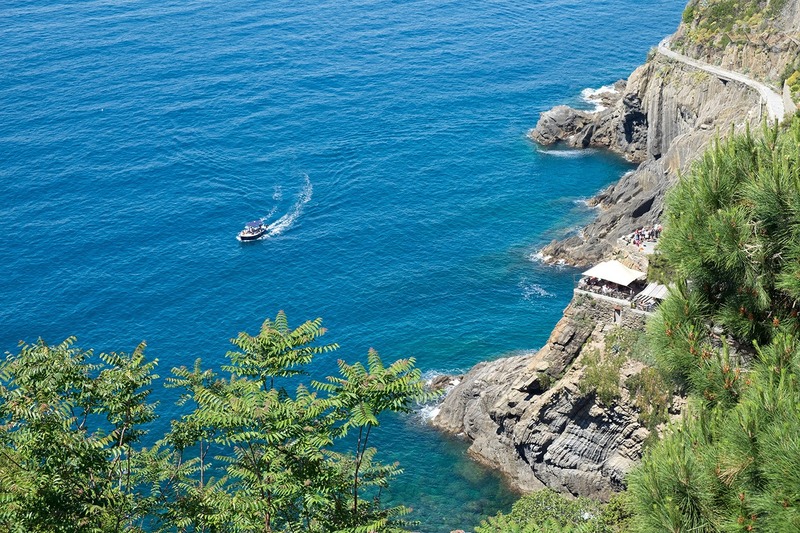 The Sentiero Azzurro or Blue Trail starts from Monterosso and takes around two hours to Vernazza and another two on to Corniglia. From Corniglia to Manarola you have to take the high route via Volastra – it takes around three hours and involves some serious climbs but the views at the top through the vineyards are well worth it. Then from Manarola you can walk on to Riomagiorre via Beccara in around 90 minutes, though there’s another big climb to start. As well as the main walks there are quieter hill paths, like the Sentiero Rosso or Red Trail from Portvenere to Levanto. There are also shorter sanctuary walks which run steeply up into the hills from the villages. And even if you’re not hiking there are lots of hills and steps in the villages. 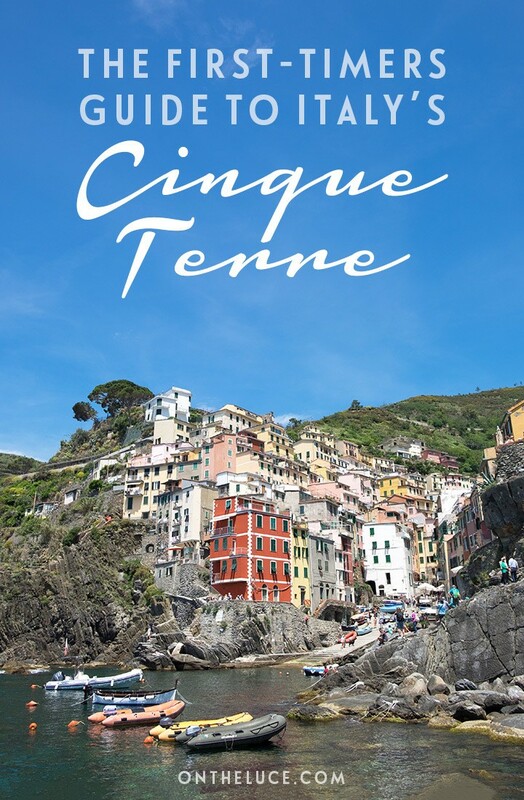 To walk the coast path from Monterosso to Corniglia you need to buy a Cinque Terre Card. You can get them in the villages and from huts at the start of each section of the path. If you’re walking between Corniglia and Riomaggiore you have to take the hill path so don’t need a permit. Cinque Terre Cards cost €7.50 for one day or €14.50 for two days. They include free wifi, local buses and toilets (€1 otherwise). Or there’s a train version which also includes unlimited train travel on the Cinque Terre line between Levanto and La Spezia. They cost €16 for one day, €29 for two or €41 for three, with discounts for children, families and off season. How do I get around the Cinque Terre? The Cinque Terre is a National Park, so vehicle traffic is restricted to residents only in the villages and it’s best to avoid taking a car if you can (not least because the roads are terrifyingly narrow and winding with a ton of sheer drops). If you are driving around, you can park in La Spezia or Levanto then catch the train into the Cinque Terre. The trains are the easiest way to get to and around the Cinque Terre, running between La Spezia and Levanto and stopping at each village. You can also connect on to Genoa, Pisa, Rome and beyond. It only takes about five minutes to travel from one village to the next. 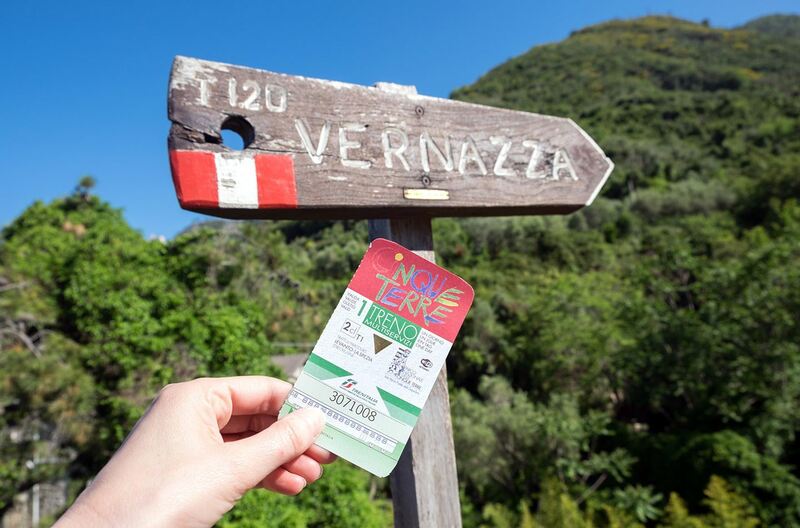 Tickets cost €4 for a single journey (free with the Cinque Terre Train Card), irrespective of how far you go. You can’t reserve seats on the trains and the queues on the platforms can be crazy, but trains are long and they often use double-decker carriages so you can squeeze a lot of people in. Trains run up to three times an hour in each direction from 5am–11.30pm, and you can pick up or print out a timetable. And don’t forget to validate your ticket before getting on board. 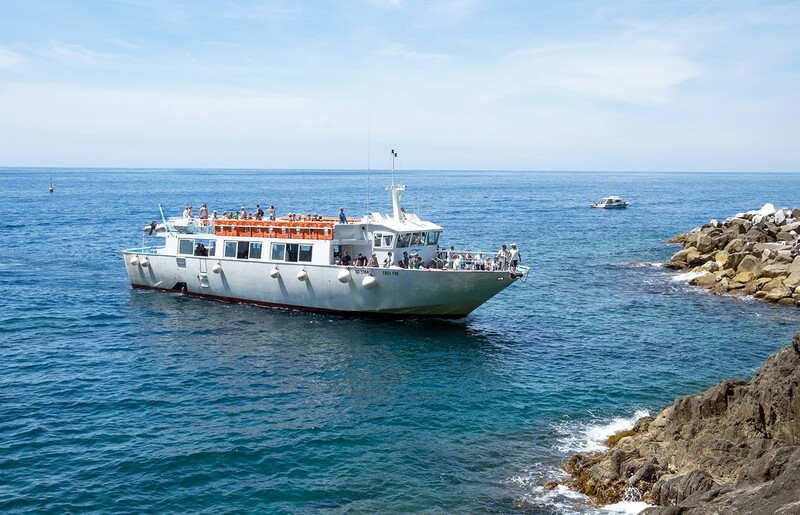 There’s also a ferry connecting the villages (other than Corniglia which doesn’t have a harbour) with Portovenere, La Spezia and Levanto. It’s worth a trip to check out the views from the water. A day ticket with unlimited journeys costs €35 for adults/€18 for children, or you can get cheaper afternoon or single tickets. You can also rent a boat or take a sailing trip along the coast. There are a few churches and monuments you can visit around the Cinque Terre but it’s mostly all about the outdoors. As well as walking you can get out on the water – go sailing, swimming, take a kayaking trip or go diving and snorkelling from Riomaggiore. Don’t miss trying the local seafood, with cones of fried calamari, shrimp and anchovies available everywhere. It goes brilliantly with the local white wine. The hills behind the villages are covered in vineyard terraces and you can do a tasting at some of the wineries. 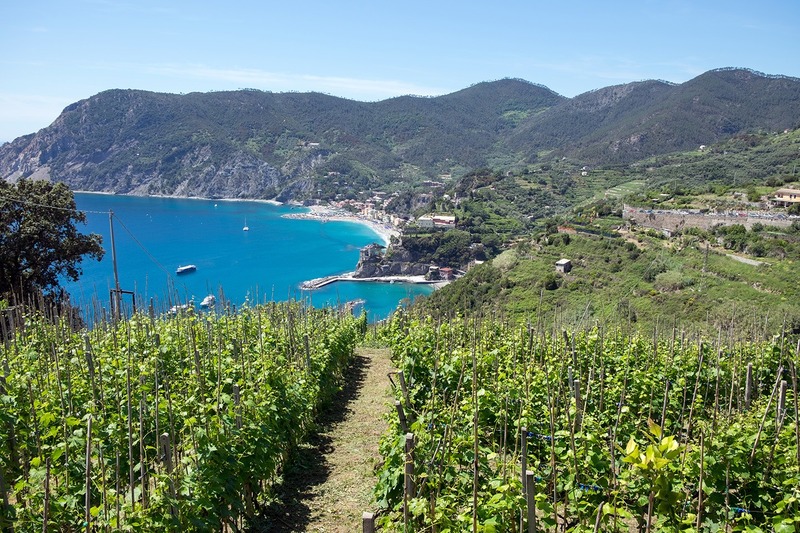 And look out for some of the annual festivals, like Saints’ Days, Easter processions, the lemon festival in May and anchovy festival in June, the grape harvest festival and Monterosso’s bizarre cuckold festival in November. Not too much! Chances are you’ll have to climb a huge hill or a flight of stairs to reach your accommodation, so try to bring as little as possible. If you’re walking then don’t forget decent shoes as well as a hat of scarf in summer, as there’s not a lot of shade along the paths. Also pack a water bottle as there are free water taps in each village where you can refill it. 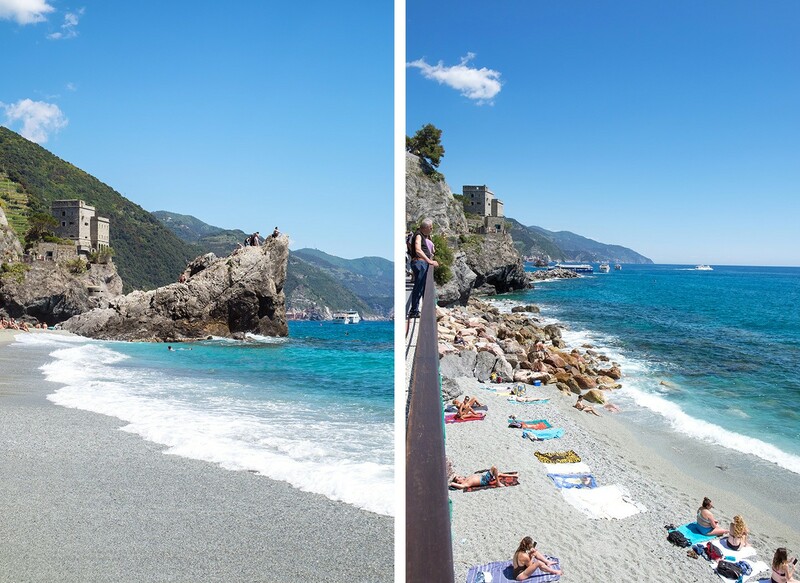 Although Monterosso’s the only village with a real beach, you can swim from each of the villages – amazing after a sweaty day walking – so bring your swimmers. If you forget things like sunscreen there are shops in each village, but because it’s a touristy area they do charge a premium. And if you get stuck English is widely spoken around the Cinque Terre. Cinque Terre looks beautiful Lucy, you photos are gorgeous and it’s on my wish list for sure. Did you visit Portovenere, Levanto or La Spezia? We only passed through Levanto but did do a day trip to Portovenere which was lovely (there will be a post about it eventually!). It’s not surprising that it’s so popular because it looks drop dead gorgeous, Lucy. It being so busy is a bit of a turn off but obviously you made it work by staying at the least accessible village. Good shout! 🙂 🙂 Where does Cinque Terre come roughly on your list of favourite places? Ooh it’s got to be in the top five Jo, the views really were non-stop gorgeousness! I was expecting it to be busy but there were a few moments when the crowds were crazy, but you could always escape! stunning, the more i see pics and read about this place.. the more sooner I want to visit it. thanks for sharing ! It definitely warrants a spot on the wishlist! Pinned! I have this place on my wish list but its the fear of large crowds there considering how popular it it. 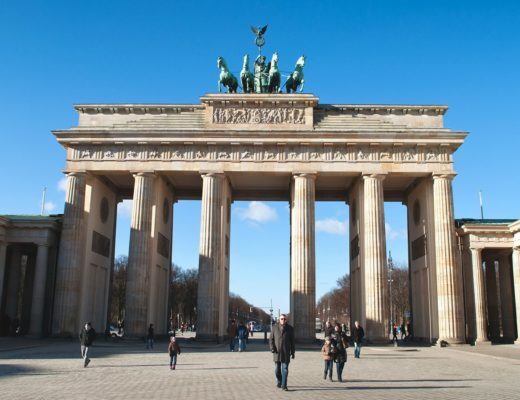 Hopefully I will visit towards the start of the tourist season May/June. Love the detail. Covers all I need to know…Just need to book the ticket now. Hope you have a great time – and glad to hear it was useful. 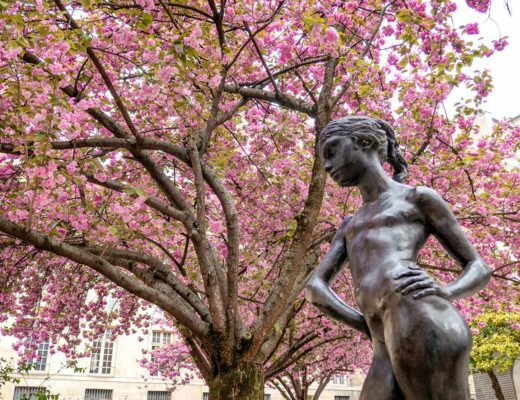 Late May/early June’s a good time to go as it should be sunny but not too frantic – and there’s always quieter spots to escape too when it does get crazy! I’m going on a day trip from a cruise ship here next month. I know it will only be a taste, but I can’t wait to take so many photos of these gorgeous villages! You make it sound so amazing. Hopefully one day I can go back for the quieter times. Have an amazing time! I really like cruises in that they’re a great way to get a taster of different destinations so you can work out which ones you like best and then go back and explore them some more. It’s most definitely on my wishlist. Do you know if you can get the train to Portovenere from an airport as well as to the villages? I’d love to stay there as a base for exploring Cinque Terre. I went many years ago and have longed to go back ever since. Portovenere doesn’t have a train station so it’s a little bit harder to get to. You can get the bus or boat to there from La Spezia though which is on the train line. Hi Lucy, My husband and I are arriving in Vernazza on 8/26. We fly into Pisa, staying one night. Next day, taking the train to Vernazza and staying five nights. We’ll have plenty of time to hike and relax. After, we are taking the train to Venice for two nights. We’ve been to Italy (and Venice) five times. This will be our first trip to CT. Looking forward to it. Sounds like you have a great trip planned! Five nights is a really good amount of time to spent in the Cinque Terre so you should be able to see a lot. Have a fantastic time. It’s really useful to have this information – especially how to visit this gorgeous area while avoiding at least some of the crowds! It is a bit of a challenge escaping the crowds – but not impossible! Great article! I’d love to visit Cinque Terre! Thanks, it’s a wonderful place! Very helpful article. Are there small private boats that take you to the villages verses the ferry? Also, does going by ferry have a lot of uphill walking? Hi, yes here are little boats you can charter to take you round too – most of the villages are built into the hillside so there’s a bit of uphill walking but nothing too bad. Monterosso is the flattest village and Corniglia has the steepest climb (but you can’t reach it by boat so you’d need to take the train, and there’s a bus to the top). Thank you. The info you provided has helped us to make our decision. Some years ago when we were a few years younger we walked upward to a lighthouse in Portofino and we were fine. So we have decided to charter a small boat and visit the villages at a slower pace. Nice you share your adventures in that beautiful country. Lovely photo’s. Great article! It really helped me to clear few of my doubts as I am planning to visit Italy in next few months. I would love to visit these places. Thanks so much. 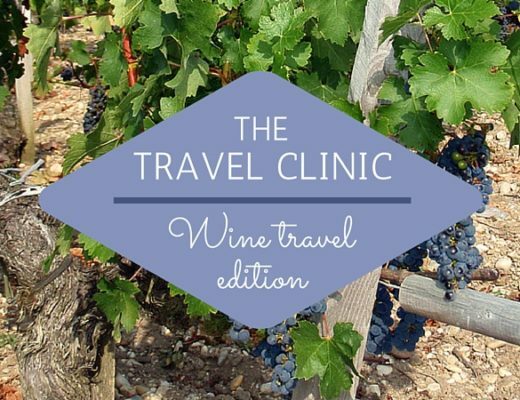 Glad it was useful – I could easily spend days in the Cinque Terre too! I am going to Cinque Terra this summer and I found your article really helpful. I am trying to figure out the best way to access Monterosso beach (my wife and I want to spend a healthy time by the water). I know that most of Monterosso’s beaches are private, so you pay for access. Is the beach front owned by the buildings that line it? Will I get complimentary beach access if I stay at a hotel/guesthouse thats on the beach? Thanks! Hi, I believe there are a mix of private and public beach areas in Monterosso’s two beaches – if you’re staying in one of the beach hotels you’ll get access to their beach area otherwise you can pay for a deckchair/sunbed/umbrella (prices around €10-20 for the day so if you get there early it’s better value). Have a great trip! 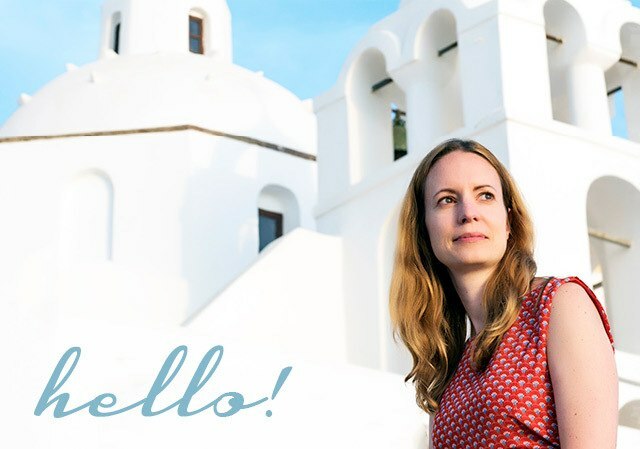 Hi Lucy, I always dreamed about going to see Tuscany and Cinque Terre are on my bucket list. I like to take scenery pictures and Cinque Terre have tremendous landscapes. You mentioned La Spezia a couple of times. Are there still areas where you meet locals? Is it a safe place? La Spezia is a good base if you want to meet more locals, it’s another pretty place too and fairly safe as far as I know.